Millions of people suffer from allergies and need to take medication regularly, but many do not stick with their treatment. Now doctors have developed a unique way to deliver allergy medication that is easy and convenient -- by infusing the patient's prescription into a special type of toothpaste. The toothpaste, called Allerdent, is custom-made for each patient and contains extracts of what they are allergic to. It is currently being tested by 12 patients at Weill Cornell Medical College in New York. One of the patients, 31-year-old Derek Lacarrubba, likes brushing his teeth and treating his allergies at the same time. "It feels, tastes and works exactly the same," said Lacarrubba, who is allergic to dogs, cats, trees and dust. "If you can contact those extracts with the lining of the mouth then you can desensitize a patients to those allergens and essentially cure them of their allergies," said Dr. William Reisacher of Weill Cornell Medical College in New York, who developed the toothpaste. Reisacher is studying whether Allerdent is more effective than weekly allergy shots or daily allergy drops. "People forget to do it and also it's difficult for small children to keep a liquid under their tongue for two minutes," Reisacher told CBS News' Marlie Hall. 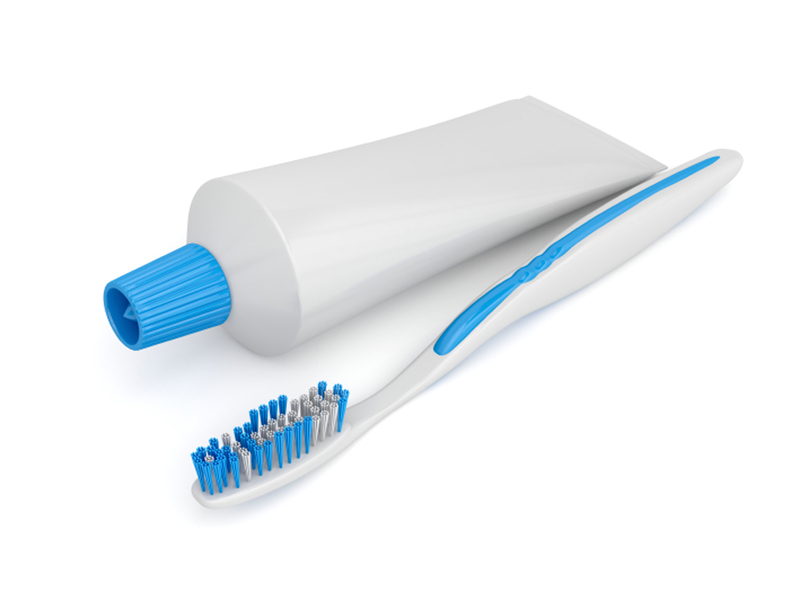 The toothpaste can treat up to 10 different allergies at one time. Its potential side effects include itching and tingling in the mouth. Lacarubba says Allerdent has not only helped with his stuffy nose, but his snoring and sleep have also gotten better. "I can breathe through my nose on almost all mornings," Lacarrubba said. He can even take his dog for a walk outside, and enjoy it. Allerdent is currently available by prescription in seven states. Reisacher is a founder and chief adviser of the company that makes the toothpaste.